This post will show you how to integrate Mautic and Sumo. If you’re not familiar with Sumo tools, you should definitely check them out (<< that’s my affiliate link). Their showcase of customers is pretty impressive too. In this tutorial, I’m assuming you already have Mautic up and running. Please note: SSL is required for this to work. Your Mautic instance must be running https and Mautic version 2.9 or higher. 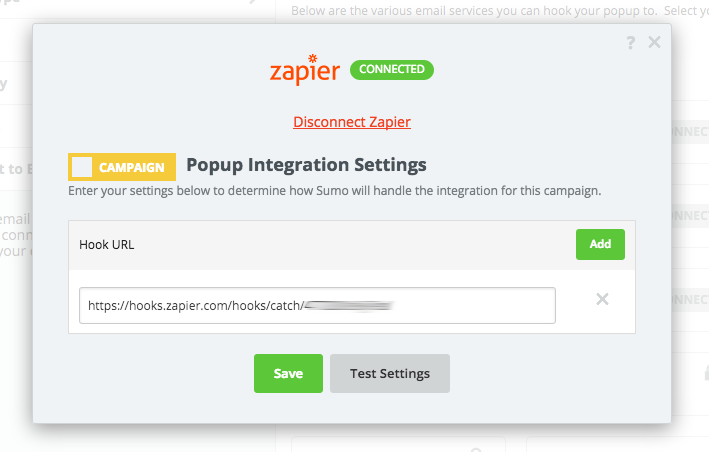 If you already have a Sumo account with live popups, move on to Part 2: Connect Zapier with Mautic. If you don’t have a Sumo account, you can use my affiliate link to sign up. The free version of Sumo will work fine to get started! 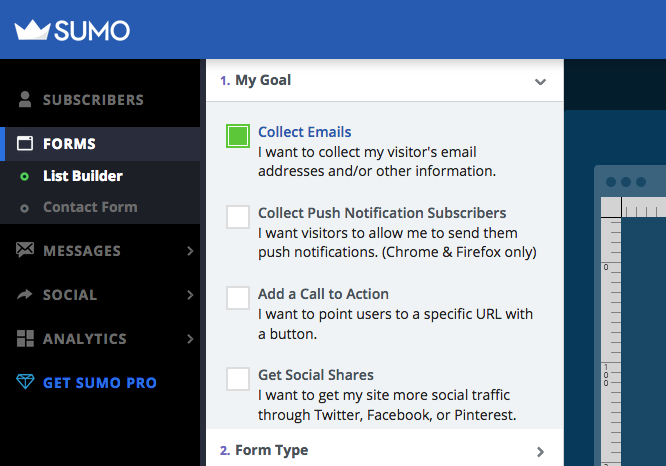 In your Sumo account, go to Forms > List Builder. Select the “Collect Emails” goal. Select “Popup” as the form type. The design is totally up to you. For this tutorial, I’m just collecting email addresses. But you can always add additional fields. 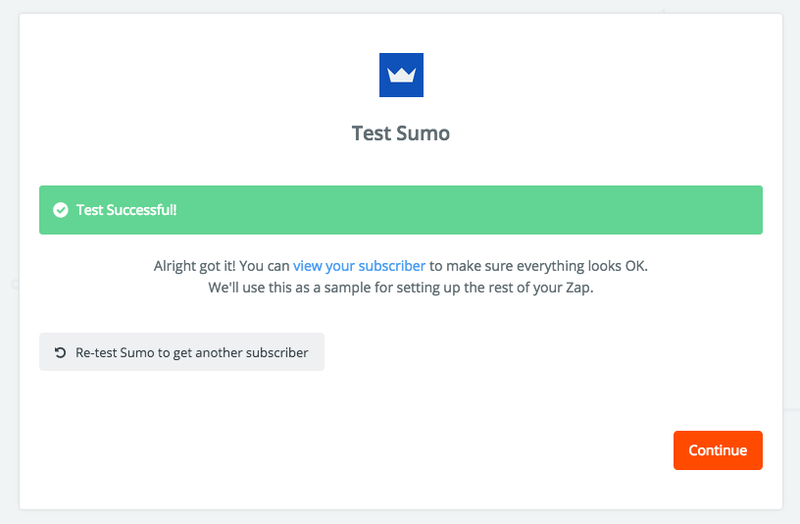 Note that Sumo also allows you to design the “success” screen that shows after someone opts in, so don’t forget about that! For visibility, choose “Manual” mode. You can adjust popup timing, but I’m sticking with the defaults for now. The display rules available in Sumo are incredibly powerful. I’ll be sharing a post with advanced Sumo tips soon. The last step is to connect with Zapier, which we’ll do in a moment. 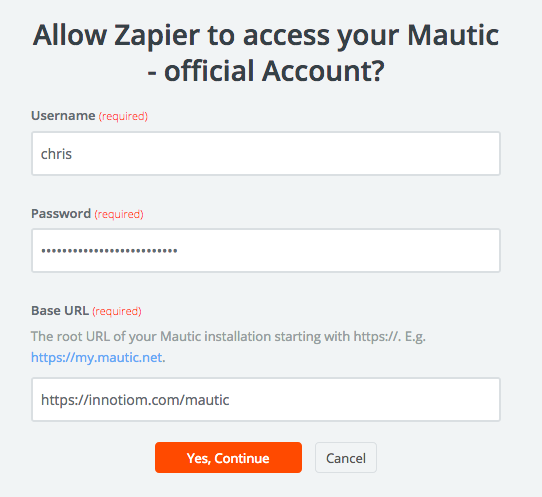 First, let’s get Zapier and Mautic ready. If you haven’t signed up for Zapier yet, do that now. A free account will work fine for this tutorial, but fair warning: if you end up collecting lots of email subscribers, you may need to upgrade to a paid account. 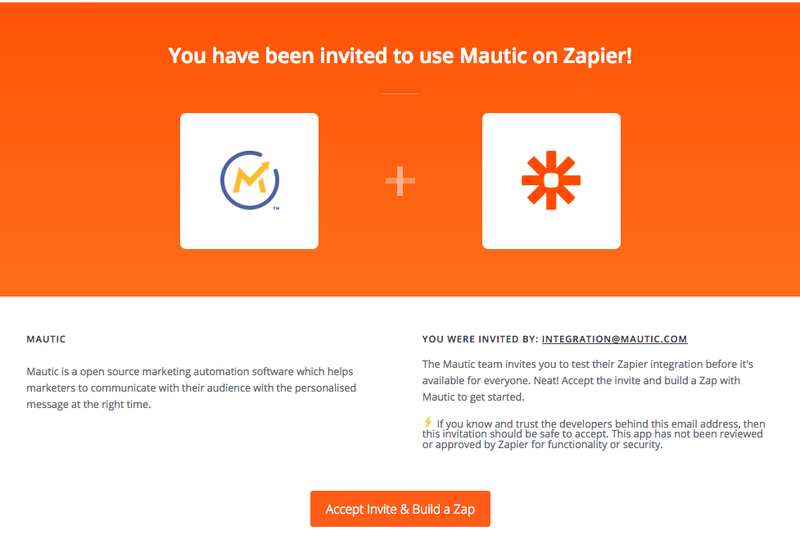 The Mautic app for Zapier is currently in beta and available via invitation only. 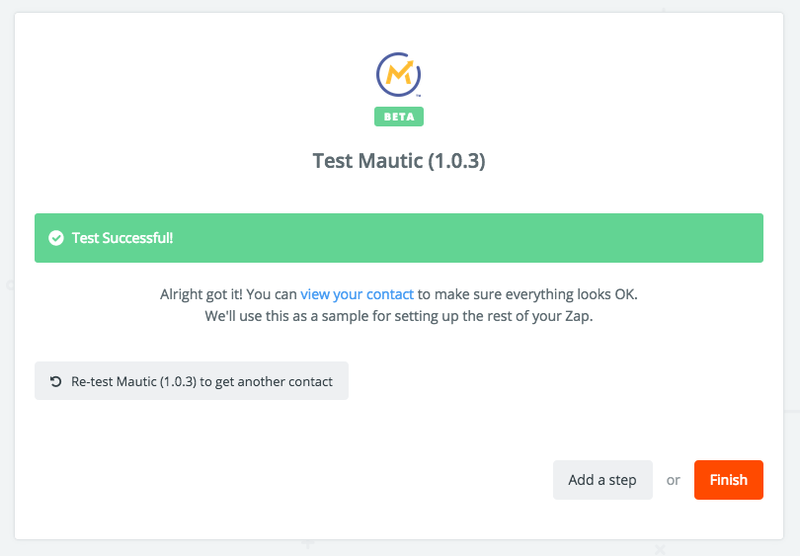 So there are a few things you’ll need to do in Mautic to prepare for the Zapier connection. 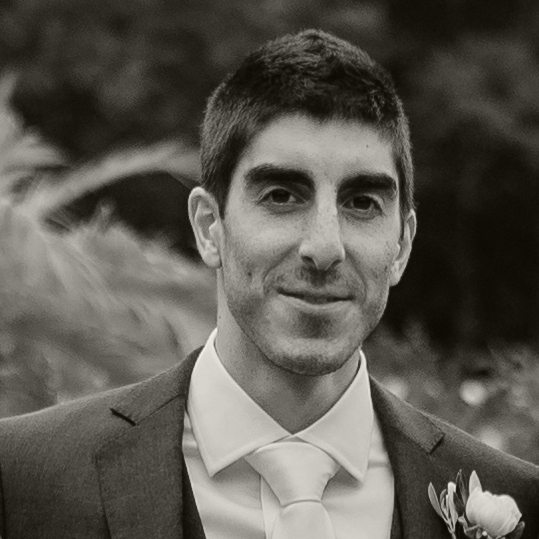 Go to Mautic’s global configuration / API Settings. Remember, you must be using Mautic version 2.9 or higher. Check out the GitHub notes from Mautic for more details. This shouldn’t be too complicated, especially if you’re already familiar with Zapier. But I’ve broken the process down into several steps to keep things organized. If you get stuck, retrace your steps and make each part is done correctly before moving on to the next. 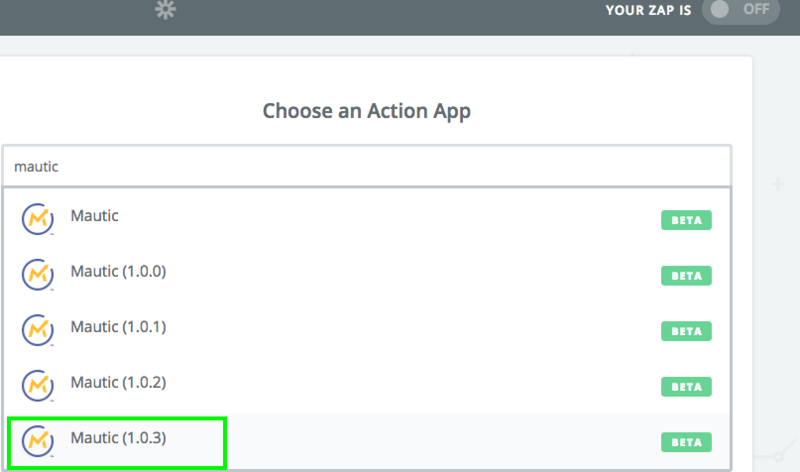 In Zapier, create a new Zap. Choose Sumo as the trigger app. Set your trigger to “New Email Subscriber”. On the next screen, you’ll see a webhook URL. Copy that URL! 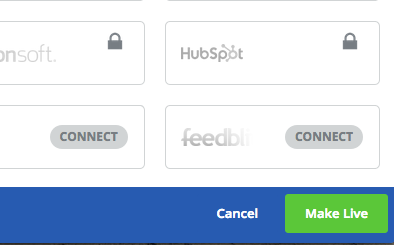 Now go back to your Sumo account, and in the “Connect to Email Service” area, click Zapier. Click the “Connect” button, and you will be prompted to enter your hook URL. Paste it in! Click “Test Settings”, enter an email address, and send the test! If possible, use an email address that does not already exist in your Mautic instance. This will make it easy to know if you’ve created a new contact in Mautic later on. Continue and choose “Create Contact” as your action. If you’re not sure what your base URL is, log into your Mautic instance and go to Settings > Configuration. 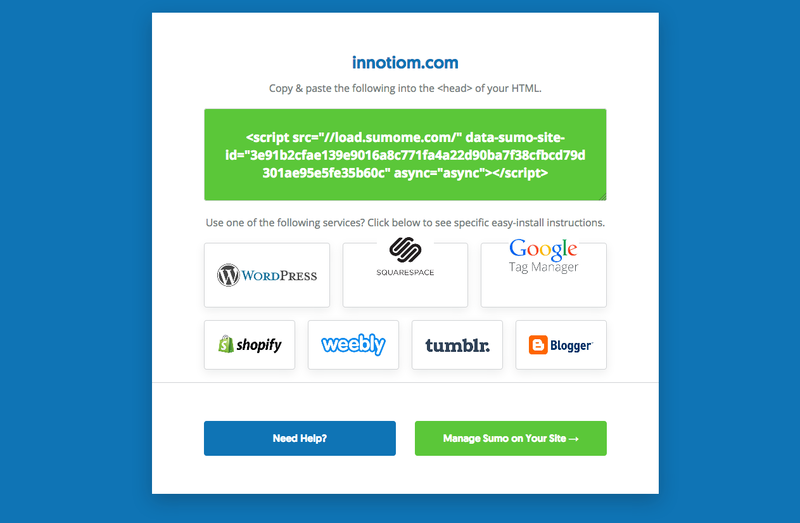 Your “Site URL” is your base URL. Note: if you’re using a Mautic Cloud account, your base URL will likely be something like https://mycompany.mautic.net. If you have other fields, make sure you map those as well. Press “Continue” you’re done. The final screen will ask you to test the process by creating a new contact in Mautic. Press “Create & Continue” – and you should see a success screen! Log into your Mautic instance, go to your Contacts area, and sort by ID to see the newest contact at the top. You should see your test contact was successfully added! 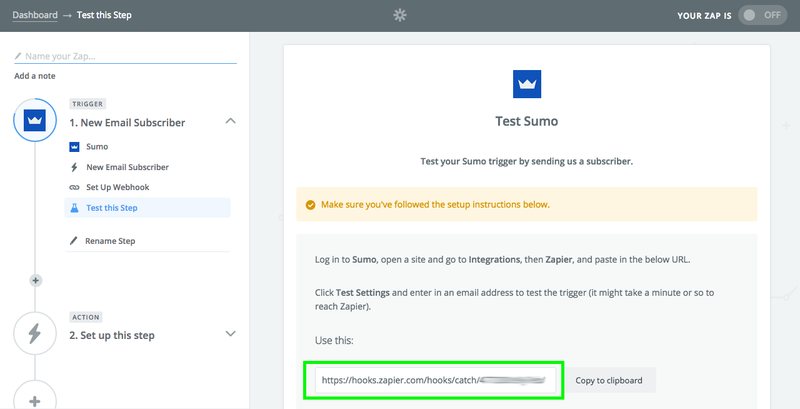 Go back to Sumo, and make sure you save your Zapier integration settings if you haven’t already. Hit the “Make Live” button to make your popup live on your website, and you’re done! Mautic and Sumo are now connected. Congratulations on getting to the end of this tutorial. I hope you’ve found it helpful and now have Mautic and Sumo communicating nicely with each other and collecting lots of new leads. If you have suggestions for improvement or notice any errors in this post, please let me know!